Lexmark International, the printing solutions provider, has recognised a significant trend in enterprises regarding the challenge of securing printed information. Security is a key customer requirement when entering into a managed print services (MPS) engagement for printers and multifunction products (MFPs). Lexmark has been successfully delivering solutions and services to meet the need to secure information while reducing both pages and printing costs. Customers expect MPS vendors to provide printing solutions to secure documents by integrating into existing business systems – but in reality, many MPS vendors struggle to deliver a robust and sustainable offering. As a result, Lexmark is sharing through case studies/customer testimonials? how it has successfully helped organisations to overcome these enterprise security challenges. Working with customers, Lexmark has developed printing solutions based on PIN and smartcard security to ensure the confidentiality of printouts, while advanced usage-monitoring systems, cost entry and user permission management ensure limitless control. These large enterprise focused initiatives are why Lexmark’s MPS customers constantly report a successful return on investment. Viessmann Group – The world-leading manufacturer of heating systems with 8,500 employees integrated its printing infrastructure with staff badges. While guaranteeing confidentiality, the Lexmark solution also displays the cost of each printed piece of paper to the employee via the MFP’s innovative touch screen, saving more than half a tonne of paper in one department alone. 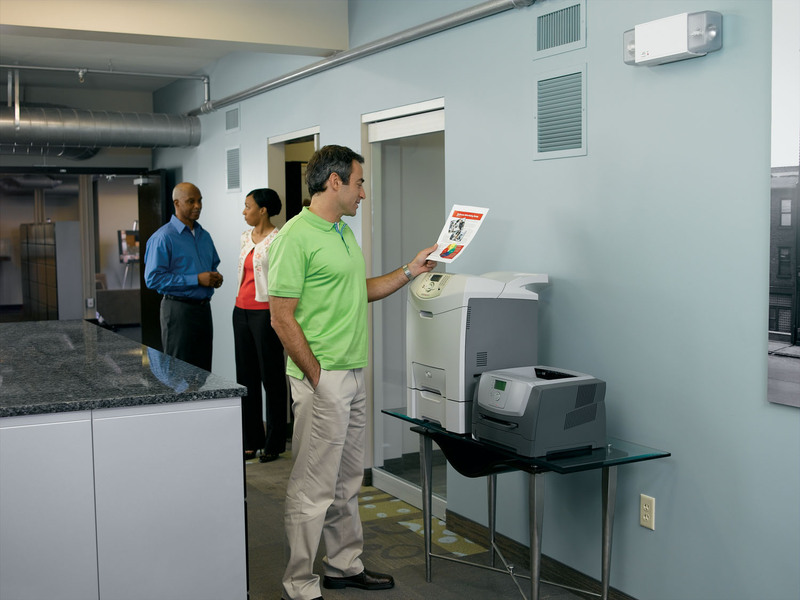 “The functionality of Lexmark’s device concept was unbeatable. A number of the innovative company’s requirements were ingeniously solved. ‘Lexmark Print Release’ enables us to access print jobs anywhere. Lexmark also nicely integrated our employee badges with a card reader and enabled us to create interfaces with electronic workflows.” - Werner Fugmann, Client Services Manager at Viessmann. VR Group – The Finnish Railways company integrated its printing architecture to allow 12,500 employees to print securely at any printer, in any office, purely by touching their smartcard to a reader. At the same time, Lexmark optimised the print environment while reducing the number of printers in the business and added features such as double-sided printing to further reduce paper wastage. Naspa – Germany’s largest regional savings bank has 160 branches and used to print more than 20 million pages. An audit showed an average of 1.5 printers per employee, with many of them not on the network. 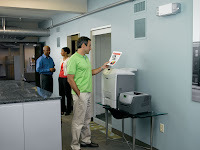 Lexmark’s solution cut the number of devices in half by installing them only where needed, and also installed tighter security features – such as advisors’ desks – while giving all employees a PIN to release their printed pages.